These days, life can get hectic. 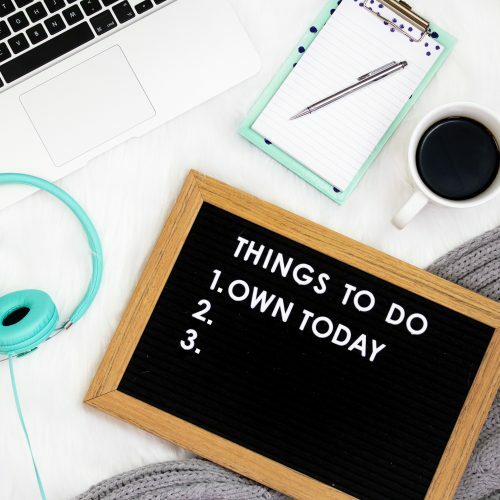 Between work, your side-hustle, home maintenance, and finding time for self-care, your to-do list can get packed pretty quickly. At our social media agency, we know a thing or two about balancing a to-do list. To help you make sure you stay on task and focused, use these tips on how to create your to-do list, and actually achieve it. It can be tempting to go ahead and cross off the smaller stuff on the list, but prioritizing the harder things first will allow you to start strong and get stuff done. Starting with the big tasks will put you in a focused mood and will build momentum to finish everything else. Your body needs to rest – especially after four hours of staring at a bright computer screen. Set 15-minute breaks after large tasks to reset your mind and rest your eyes. Also, ensure that it is actually a break: checking emails or answering calls don’t count. Give yourself some actual quality breaktime by taking a walk, reading a book, or meditating. This is easier said than done, but try your hardest to get rid of any distractions that could give you a reason to stop working. Set up a complete office space, put in some headphones, and block unnecessary calls and texts for a while. If you need to get up to get something, try to do it only on your breaks, to stop yourself from wandering around and just avoiding work. Congratulations! You finished your whole to-do list. Take this opportunity to reward yourself with some well-deserved drinks with friends, or a nice dinner with your loved ones. If you set up these plans before you start your list, and only allow yourself to go if you finish your work, the reward will motivate you to power through. Follow these tips from our social media agency to make and achieve the most out of your list!